Using OER to introduce the processes of reflection/critical thinking in Year One Semester One. Exploring the use of OER for embedding ‘employability’ in the undergraduate curriculum. OER and e-portfolios for students and practice educators or mentors on undergraduate and postgraduate work-based learning award. 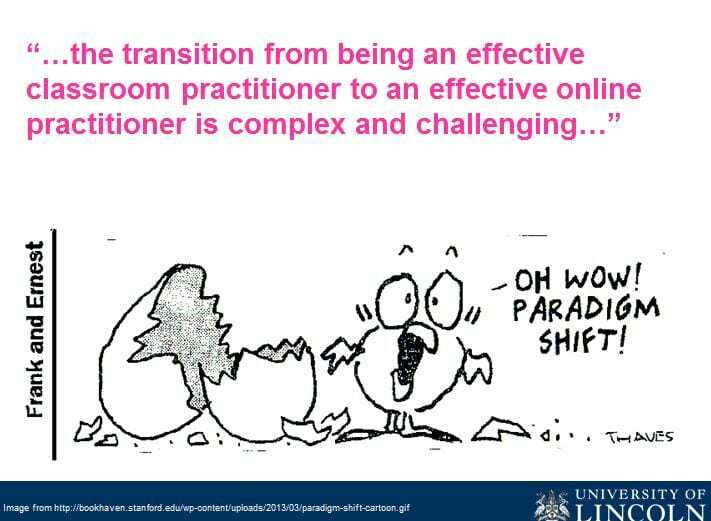 Exploring and embedding the use of OERs on PGCert/HE…and beyond. Project Six: Behind the Scenes: supporting OER as a whole institution philosophy. 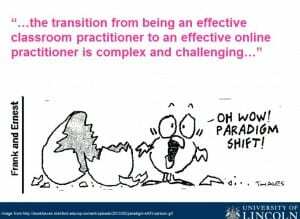 Alongside scoping, using and repurposing OER, the HEA will run an internal Change Academy programme at Lincoln. This process includes specific development opportunities for the team leaders and an ongoing support network for all team members. The Change Academy programme supports both rapid innovation and capacity-building for longer-term change and aims to provide creative environments to focus on planning and developing strategies for lasting change. This will be an excellent way to expand the outcomes and successes of individual projects across the wider departments and Faculties while working towards the institution wide adoption of the philosophy and practice of OER. In doing so there will also be opportunities to surface the associated digital literacies requirements of students and staff and address inclusive digital practices. A win-win situation!